IPL M25 | Dum Biriyani vs Butter Chicken | Hyderabad | 26th April 8 PM !!! Request to Queens , dont trouble the golts !!! Go go go go go go go Orange Army. Hope bhuvi is fine and plays. Plain OP. As plain as a dhokla. C’mon Dhokla has tadkaa and coriander on top of it..
Did you write or have any one request you on the match allocation thread? You want to open all threads. Don't be a thread hog....stick to opening your csk threads. or put your hand up in the allocation thread. Gayle this Gayle that..... Poor guy Rahul not getting enough limelight. maniac sends his delusional thoughts from his yahoo mail to his gmail with subject IPL script and then calls it "sources"
Velu ...this is very unfair ..
You should know how and which thread becomes main thread when you merge one into another. It is confusing ...per itna bhi mushkil nahi hai. 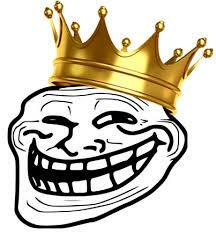 If srh loses or you try jinxing or taunting ...then you see.I will flood your posts with trolling . @maniac take any of our thread then ..
but whtehr it shuffled all the posts ? Kya bol raha hai kaney? Kya yaar....lost toss and batting first. With 'CONFIDENTIAL' given in bold in the subject. His Hotmail account is called 'Cricket Acumen 101' and that also sends frequent updates to his Gmail account. That's a very weak batting lineup. Not one outstanding T20 batsman. Dhawan, Williamson and Shakib are decent. He had a good IPL last year though.